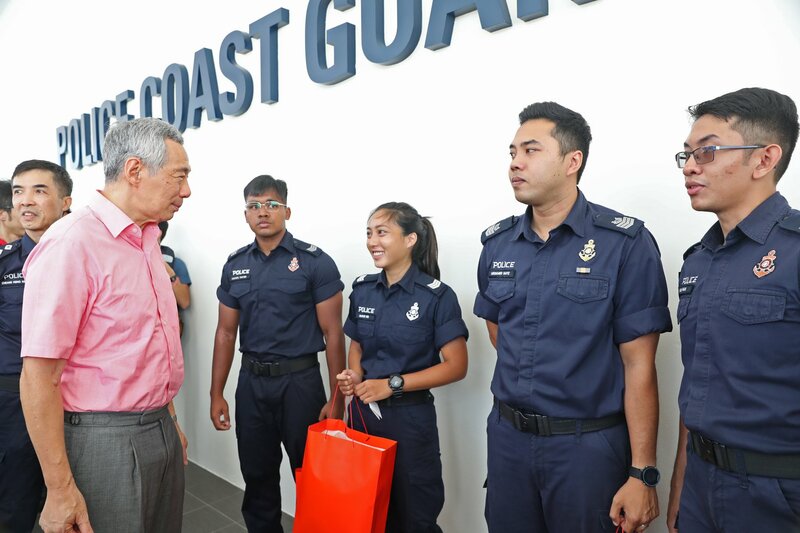 PM Lee’s Visit To Police Coast Guard Brani Base: Sending A Message to Someone? – Sinking It In! PM Lee also posted a video of his visit, where PCG officers took PM Lee on a tour of the vessels. On the surface, PM Lee’s visit might seem no different from any community event where the intent is to connect with people on the ground. However, if you were to carefully analyse the timing of the visit and other finer details, you will find that there is possibly a hidden message meant for those who have repeatedly tried to “bully” us. PM Lee could have visited PCG before or after the CNY holidays, but he chose to visit on CNY eve instead. For those who remember their history, the Japanese invaded Singapore on CNY eve in February 1942 when people least expected it as it was the festive period. PM Lee possibly timed his visit to send the signal that our border protection forces are on alert 24/7 regardless of the festivities. It is to send the message that we will not let our guard down at any time, and those with sinister intentions can shelf their plans indefinitely. If PM Lee’s intention is to send the message that our defence is strong, why did he choose to visit PCG’s base instead of one of the Naval bases? Visiting the naval bases would probably be seen as too aggressive, bearing in mind that the recent incursions into our territorial waters were by maritime agency boats i.e. civilian vessels and not military ones. If PM Lee had visited a military base, we would be criticised for overreacting or labelled as war-mongers. Hence the location was likely carefully chosen to calibrate the message appropriately. The objective is to send the message effectively without appearing overly aggressive. In the video of the visit, PM Lee is seen arriving to much fanfare as officers across the ranks gathered to welcome him. He is then shown around the base and vessels by the officers. In one part of the video, PM Lee is seen on board a vessel equipped with weapons. If you look even closer, you will notice that PM Lee exchanged greetings with officers from all races, including Malay Muslim officers. The message here is clear – we are united regardless of race (i.e.race politics is not applicable here) and we have the means to protect our interests should they come under threat. If you analyse the various components of PM Lee’s visit this way, it is quite clear who the message is intended for. SIA Retrench Pilots In 2016 Due To Oversupply But Now Invites Indian Vistara Pilots To Fly For SIA To Meet “Manpower Needs”?